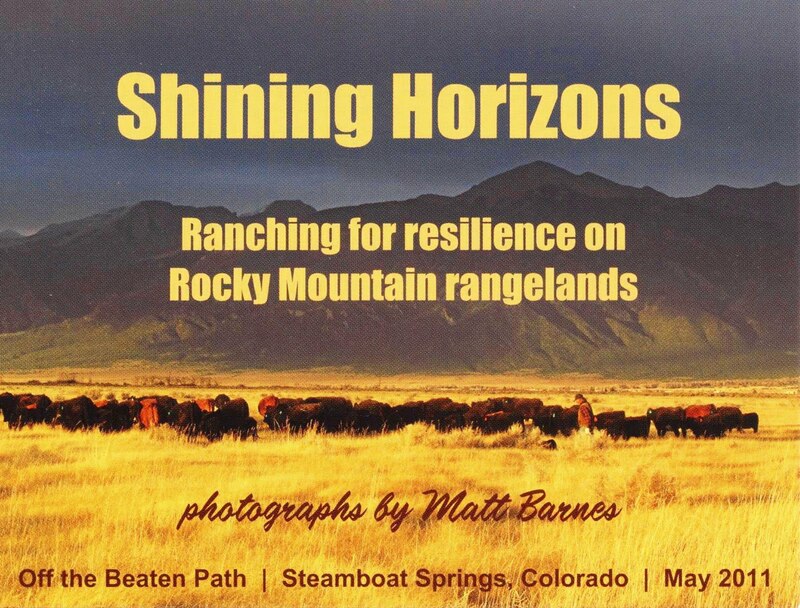 You are invited to an exhibit of my photographs this May in Steamboat Springs. These photographs show how people are living at the confluence of Earth and Sky as stewards of some of the most beautiful landscapes of the Southern Rocky Mountains. First Friday Artwalk was a great time. I even got to talk about stewardship with a few folks. 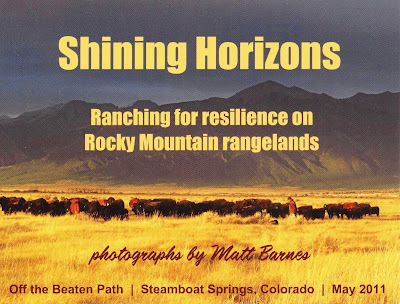 I was able to hang 22 of my best photographs, all from Colorado; most of which are on this blog somewhere or on my Flickr page (see slideshow at the top). Michelle represented the Yampa Valley Community Ag Alliance. Jenny was there, supporting and socializing. Kim Keith from Off the Beaten Path provided support, free pastry samples. and half-price wine. The photographs will be on display through the end of the month.